The Omega Smart aluminum canopy is now available from stock in anthracite grey. 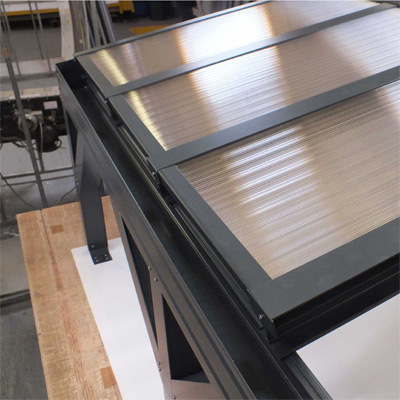 It can be supplied with either the 16mm polycarbonate in clear,bronze or opal or the glass clear super strong UV protected 6mm plate polycarbonate. This range provides solutions for Patio Covers, Verandas and Carports. The structural aluminium frame is powder coated with Matt Anthracite Grey (RAL7016). Full Installation Instructions are supplied with every canopy. 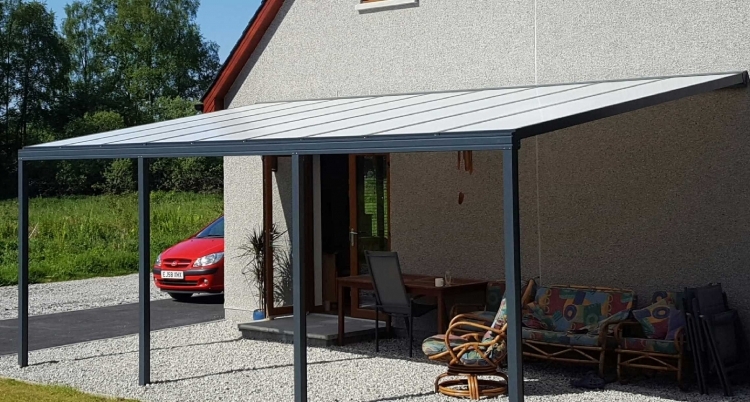 Find out more here by visiting our Anthracite Grey Canopy in our online shop.